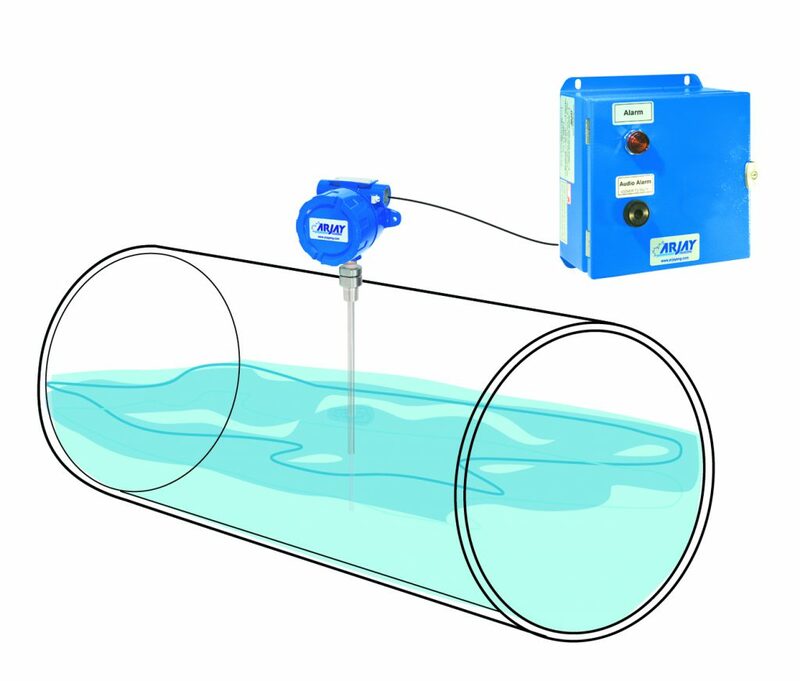 The sensing probe continuously monitors the dielectric stability of the product. Changes in dielectric can be tagged to product quality changes, moisture content, emulsions, concentrations and product phase changes. Typical applications include liquid blending, moisture content of solids, upset product intrusion or separation, and general product quality. The 2852-CAP sensing probe monitors the capacitance field around the probe. The active portion of the probe is fully submerged into the liquid or solid to the point of targeted interest. Changes in product dielectric due to blending of other products, moisture content of solids, or process cracking will cause a positive or negative capacitance change around the probe. This change is used to provide a 4-20 mA proportional output, and two set-point alarm relays.